What has Qualcomm got planned? 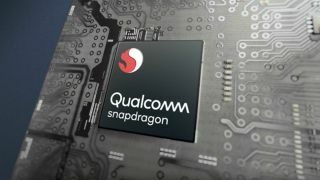 With Qualcomm working with Microsoft to get its Snapdragon chips into Windows 10 laptops, there have been rumors that a supercharged processor called the Snapdragon 1000 is on the way to give these devices a serious performance boost. Thanks to some digging done by WinFuture, we now know (or think we know) a bit more about it: it's going to use a relatively large 20mm x 15mm design (offering room for more cores), and draw a hefty 12W of power. The system-on-a-chip also looks to be using a motherboard socket rather than being directly soldered onto it, though this might only be for internal testing. What all of these rather technical pointers suggest is a significant boost in power and versatility over the likes of the Snapdragon 850. The Snapdragon 1000 chip is being built from the ground up to work in laptop devices first and foremost rather than smartphones. The reference device Qualcomm is using to test the Snapdragon 1000 is apparently running 16GB of RAM and 256GB of storage, which gives you some idea of the specs we're talking about for laptops running the chip. It's likely to be going head-to-head against Intel's Y and U series Core processors. While Qualcomm's line up of processors don't offer blazing performance for laptops, they do offer always-on connectivity (over LTE/4G) and very impressive battery life (in the region of 20 hours), features that appeal to anyone working on the go. How much the Snapdragon's 1000 boosted specs are going to compromise those advantages remains to be seen – we still don't know any of the key specs of the chip, even if it's now looking more likely to be on the way. As yet there's no indication of when Qualcomm might decide to unveil its plans.